Takeaway: Sivananda yoga's exact sequence of asana, mantra and pranayama allows us to move the prana in the body in an intentional way and keep the mind quiet with practice of the same routine. Many yogis are not familiar with Sivananda yoga. I had never heard of it before participating in my yoga teacher training, but I soon found that Sivananda yoga was the intentional practice I had been searching for. I liked to practice Hatha yoga, and yet I could not find or create a sequence that seemed to feel right. I was seeking something that was energetically, physically and emotionally balancing, while also spiritually expanding. I found all of that in Sivananda yoga. Here's a little history on this special style of yoga, it's key teachers, what practicing it looks like and more insight on if you should give it a try, too. Swami Sivananda was born 1887 in India. Before he discovered his guru, Swami Vishwananda Saraswati, in Rishikesh years later, he studied medicine and devoted his life to serving people in poverty. He later became a renunciant monk and began a period of intensive meditation, daily practice and study that lasted roughly 10 years. He transformed into a global teacher of yogic philosophy and wrote more than 200 books about yoga. 5. Proper thinking and meditation. In 1957, Swami Vishnudevananda went to the West and developed International Sivananda Yoga Vedanta Centres. Today, there are 30 Sivananda Centres and nine Sivananda Yoga Ashrams located throughout the world, with the international headquarters in Val Morin, Quebec, Canada. The sequence that Swami Vishnudevananda developed from Swami Sivananda’s teachings aims to align with the principles of proper exercise and proper relaxation. The exact sequence allows us to move the prana in the body in an intentional way and keep the mind quiet with practice of the same routine. It consists of mantras, preparatory asanas and pranayama, followed by a sequence of 12 basic asanas and ending with a final savasana. A typical beginner’s Sivananda yoga class is traditional, slow and meditative. It emphasizes the spiritual process over the physical. As you perform each of the basic asanas, you can keep your awareness on a specific energy center, or chakra. The first and final pose, savasana, is as important as all the others combined. Proper relaxation is essential due to the overstimulation we face in our day-to-day life. In Sivananda yoga classes, the beginning portion of savasana is often spent searching for areas of tension and releasing them. The Surya Namaskar practice is a warm-up. It aims to encourage flexibility of the spine, preparing the body for the folllowing asana sequence. Although many consider this an advanced asana, Sivananda teaches us that it is not. 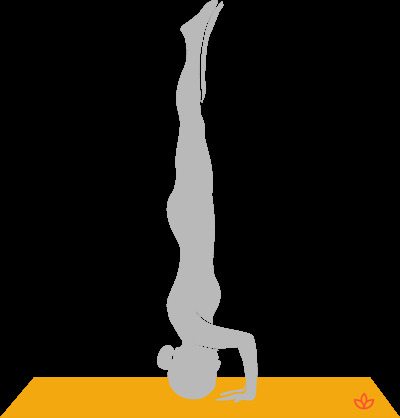 Sivananda taught that if you only have time for one asana, practice headstand. Headstand allows the whole body to become invigorated, allowing prana to flow into the head, stimulating the sahasrara (crown) and ajna (brow or third eye) chakras. In headstand, you can keep your awareness on the ajna chakra. It is believed that all unused and sexual energies become transmuted into ojas (spiritual energy) and pools in this brow area. Child's pose should be practiced before and after this asana to preserve this energy. Sarvangasana aims to stretch the cervical and thoracic areas. Prana moves into the throat, stimulating the vishuddha (throat) chakra and balancing the thyroid by stimulating the thyroid gland. You may keep your awareness in the throat. Your awareness stays on the throat while stretching the entire spine while you move into plough pose from shoulder stand. In these asanas, you are connecting with ether, the element represented in vishuddha chakra. In opening the shoulders and chest, you are able to ease tension, and some say, release worries and anxiety. Your awareness can come to your heart center, or anahata chakra. In practicing fish pose, you are connecting with the element of air, creating space in the chest and emptying the lungs of all unused air. 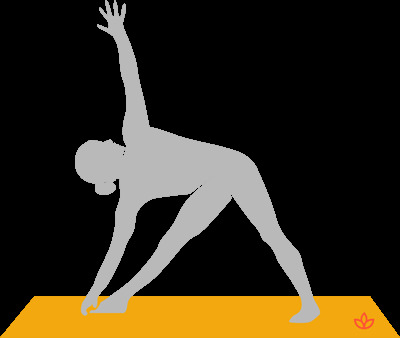 Shift your awareness into the manipura (solar plexus) chakra for paschimottanasana. The objective is to stretch the back of your body while maintaining the integrity of a straight spine. As you push yourself to your edge, the point right before your back begins to round, you can connect with the element of fire, which is connected to the manipura chakra. During these next three poses, you may shift your awareness into your sacral region, the svadhisthana chakra. The entire spine is used and stretched while moving prana into the sacral region. You are connecting with the element of water, the fluidity of emotion, which is connected to the svadhisthana chakra. Ardha matsyendrasana is said to ring out the emotional sacral center that was just stimulated, while stretching the entire spine laterally. In preparing for crow pose, you sit in a yoga squat and shift your awareness into your root, the muladhara chakra. This balancing asana cultivates balance while connecting with the element of earth, represented in the muladhara chakra. To prepare for this padahastasana, you may slowly roll up, restacking each vertebra and allowing the prana to flow freely through the body. Keep your awareness on the soles of the feet, rooting into the earth as you allow this asana to strengthen your legs. The final asana, trikonasana, continues with awareness on the soles of the feet as you laterally stretch the body on both sides. Finally, relax again in savasana to let go of all bodily tensions. Sivananda yoga classes recite mantras in the beginning and end of class. In my yoga teacher training, we were taught to begin class with the Guru mantra, and conclude class with the Maha Mrityunjaya mantra. Before each mantra, there are three chants of Om and after each mantra, there are three chants of Om Shanti and Om Peace. Proper breathing can be cultivated through regular practice of pranayama. Anuloma viloma is practiced between savasana and Surya Namaskar in Sivananda yoga classes. The intention of this practice is to balance the left and right hemispheres of the brain, and the masculine and feminine energies through the pingala and ida nadis. Interested in trying a Sivananda yoga class? They can be accessed at any of the international centers and you can look for instructors teaching the Sivananda style, although they are not as commonly found in your local yoga studio. There are lots of resources online, video tutorials and blogs, including mine and other teachers’. These can help to walk you through the sequence if you would like to give this practice a try!